Dissident. 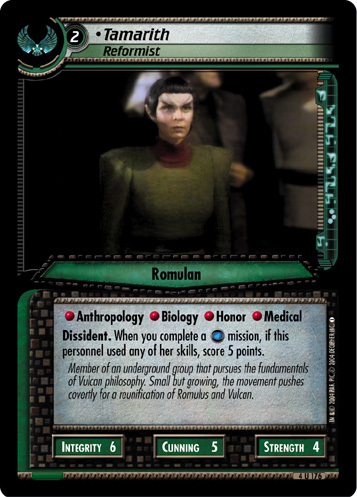 When you complete a mission, if this personnel used any of her skills, score 5 points. 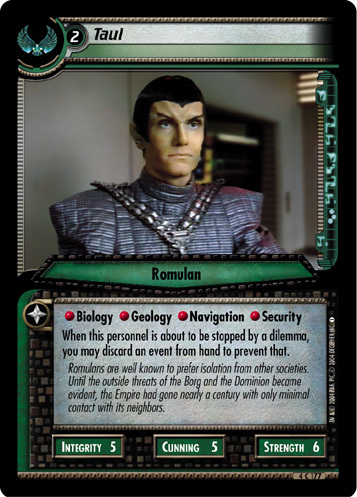 Member of an underground group that pursues the fundamentals of Vulcan philosophy. 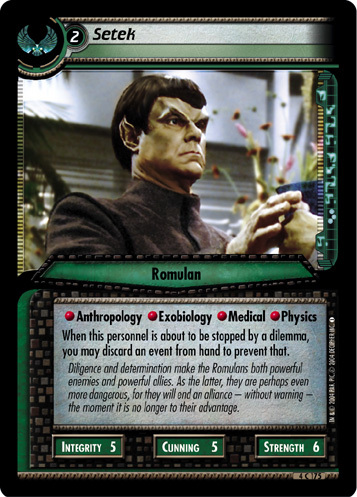 Small but growing, the movement pushes covertly for a reunification of Romulus and Vulcan.